Photo: Mark EwingIt seems that you can hardly turn around these days without running into yet another low-cost capacitor mic of Chinese provenance, but with the Luna, M-Audio have tried hard to be different. 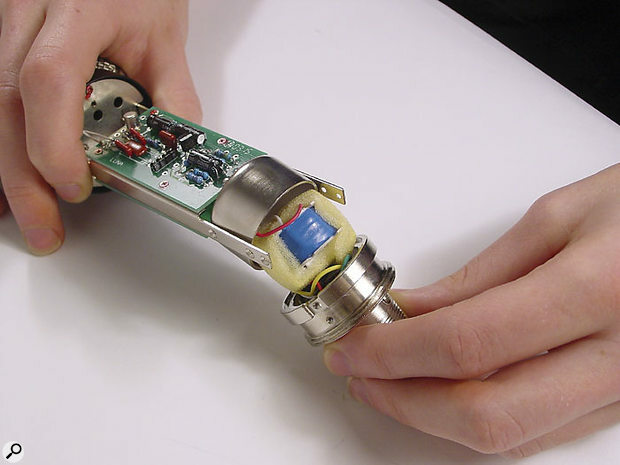 The mic is still manufactured in the Far East, but the choice of electronic components, the physical design itself and the preamp circuit are apparently American. M-Audio have also gone for a simple approach, with no pad switch and no low-cut filter, which cuts down on manufacturing cost and also leaves less to go wrong. The mic, which has a fixed cardioid pattern, is based on a 1.1-inch-diameter capsule fitted with a gold-evaporated mylar diaphragm. This feeds into a Class-A FET preamp, which in turn runs into an output transformer for balancing and impedance matching. According to the manufacturer, the aim was to produce a clean and classy vintage sound at an affordable price using modern components. Operating from standard 48V phantom power, the Luna has a frequency response extending from 20Hz to 20kHz, augmented by a very gentle presence rise at around 4-5kHz and a more pronounced 'air' peak at around 12kHz. Sensitivity is 16mV/Pa, which is about what you'd expect for this class of mic, and the noise (EIN) is a respectably low 14dBA. Although there's no pad switch, the mic is happy up to SPLs of 130dB and all Luna mics are claimed to be within ±1dB of each other across the frequency range, which means that any two should work well enough as a matched pair for stereo work. 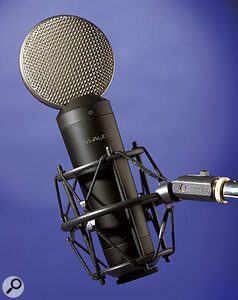 Physically, the mic is distinguished by a flattened, moon-shaped, dual-layer mesh basket (hence the name), and this is a full three inches in diameter. This basket sits on top of a slightly tapered metal body, where the overall length is 8.25 inches and the weight is a substantial 23 ounces or 650g. Included with the mic is a very neat hard case and a shockmount (sadly the shockmount doesn't fit into the case, as this is only large enough to take the mic itself), and because of the design of the mic body, the shockmount is the only way to mount it on the stand. A threaded ring at the bottom of the shockmount locates securely into the base of the mic and overall the shockmount seems tough and effectively designed. However, the thumbscrew for tightening the swivel part of the mount is quite small, so it's sometimes hard to get it tight enough to prevent a fit of the droops. As luck would have it, I was due to record a session for a friend who had arranged for a major-league female backing vocalist to add lead vocals and layered harmonies to some songs he'd written to accompany a TV project. We used the Luna mic via an SPL Channel One preamp for the session and got great results from the outset. The sound was clear and not obviously enhanced in any way, yet it managed to sound warm as well as airy, with virtually no EQ required. Certainly the sound was rather better than you'd expect for a sub-£200 microphone. The Luna also behaves reasonably well when presented with off-axis sounds, and, though the top end falls away with angles over 60 degrees or so, as you'd expect, the response doesn't seem to get too coloured. 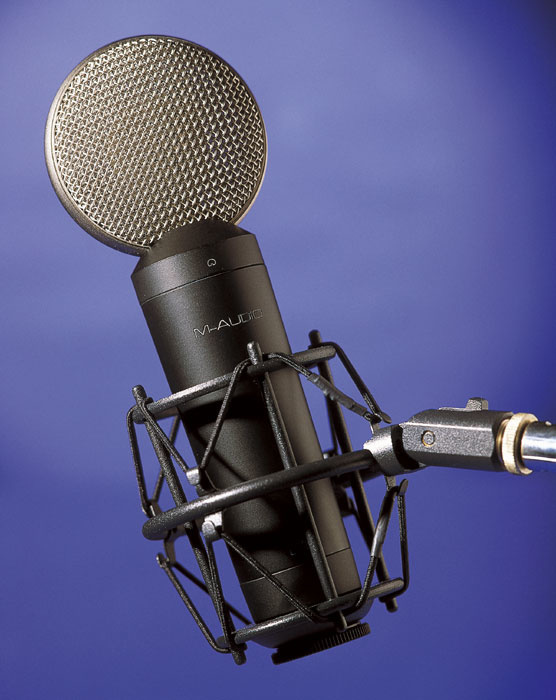 In addition to making a fine vocal mic that gently flatters its subject without giving the game away, the Luna also works well on acoustic guitar, and because you don't have to buy matched pairs, two would also make very practical drum overheads or piano mics. In fact the Luna makes a great general-purpose capacitor mic for just about any type of project-studio task, other than perhaps recording a kick drum. Visually, the Luna is stylishly distinctive, while in sonic terms it sits just on the flattering side of neutral. It suits most vocal types and delivers a well-balanced combination of warmth and clarity, with minimal noise and more than enough sensitivity for all normal studio applications. I think the shockmount could use a better-designed thumbscrew for tightening the swivel, but this minor gripe aside and it's hard to fault a mic that performs this well for such a reasonable UK price. It's a tough market out there for anyone selling budget capacitor mics, but I think the eye-catching looks, Class-A FET circuitry and transformer warmth might just persuade people to spend that little bit more on a Luna, rather than settling for something more anonymous. Comes with case and shockmount. Shockmount can be difficult to tighten adequately. Although slightly more expensive than most of the 'me too' Chinese mics, the Luna has the benefit of a transformer output stage and styling that your clients are bound to notice.